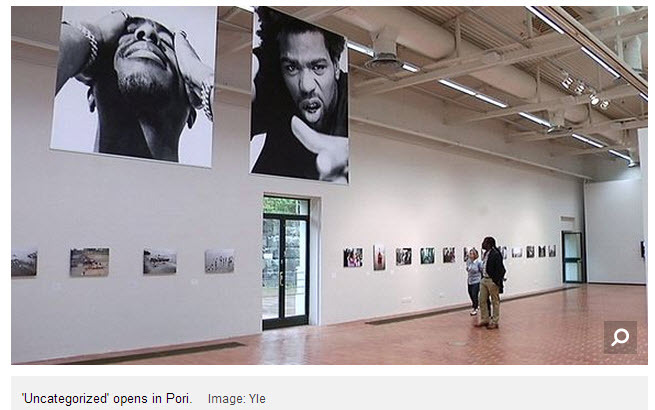 Portraits of superstars such as Tupac Shakur, Snoop Dogg and Mary J. Blige taken early on in their careers are on display in Pori, the Finnish city known for its internationally renowned jazz festival. A new exhibition opened last week at the Pori Art Museum with work by American photographer (and Jersey City resident) Chi Modu, who has captured some of the biggest icons of hip hop, including Ice Cube and LL Cool J. 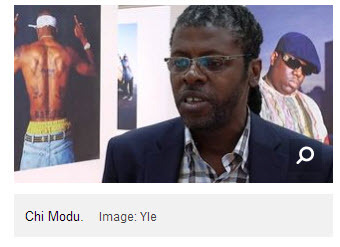 Being in the right place at the right time gave Modu access the hip hop and rap legends. Modu shot this intimate collection oportraits in the 1990s before musicians such as Tupac Shakur, Snoop Dogg, and Mary J. Blige went on to become massive stars and sell millions of records. “They were pretty young at the time. They didn’t quite realize that they were going to change the world….Years later you realize how important they actually were,” says Modu. In the 1990s, there wasn’t as much money and fame around the hip hop scene, and Modu was able to get up close and personal. “It wasn’t the beginning, nor was it the end, it was a time when it went to another level. Now it’s lot harder to get honesty out of the subject,” Modu reflects. The Finnish city of Pori, renowned for its international Pori Jazz Festival, was a natural venue for Modu’s “Uncategorized” exhibition, which runs until September 14th. “There’s East Coast-style, there’s West Coast style, there’s even a Finnish style. I love it and I love the fact that even people here feel they own this artform as well. If you have something to say, hip hop and rap is actually a good platform for it,” the American photographer enthuses. A Big Welcome to the Newest Member of the FYI Family!